And choose the perfect place to study and play. Experience culture and history, arts and sport. Walk the moors and feel the waves. With a mission to advance knowledge and transform lives through education and research, the University of Plymouth is among the emerging global elite of modern higher education institutions. The Times Higher Education '200 Young Universities' rank us as one of the top three UK modern universities*. 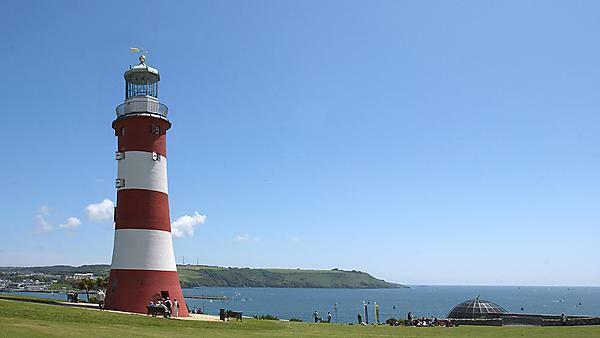 Plymouth is distinguished by its approach to combining world-class research and teaching with a commitment to widening participation and social inclusion. "We have won the award for being the safest and most enjoyable place for a night out in the UK." Best Bar None's mission statement is: to reduce alcohol-related crime and antisocial behaviour. To increase business, through the delivery of training, education and promotion of best practice, and to create a partnership between the local authority, the police, the trade and the private sector to broaden the appeal of an area more especially it’s evening and night time economy. Top bands and live shows perform at the 4,000-seat Plymouth Pavilions arena, and Plymouth plays host to international events: major sports events like The America’s Cup World Series; public spectacles like the British Firework Championships; niche celebrations of artistic endeavour on the very edge of technology and music, the Contemporary Music Festival. From the Hoe, a Victorian promenade descends along the coast to the Barbican. Bombed to bits and burned to the ground in the Second World War, Plymouth’s old town was largely destroyed. But here, clustered around Sutton Harbour on cobbled, Elizabethan streets, is what remains, with quirky shops, galleries, pavement cafés and eateries, bars and nightclubs. Our Students’ Union runs around 60 sporting clubs and societies, some of which are possible only because of our location: bouldering, canoeing, caving, climbing, cycling, coasteering, gorge-walking, high ropes, kayaking, kite-surfing, mountain biking, horse riding, power-boating, sand-yachting, swimming, surfing and windsurfing. Between Dartmoor and the sea, the reward for living in Plymouth is the outdoors. To be outdoors in summer or winter is compelling because the landscape is breathtaking. 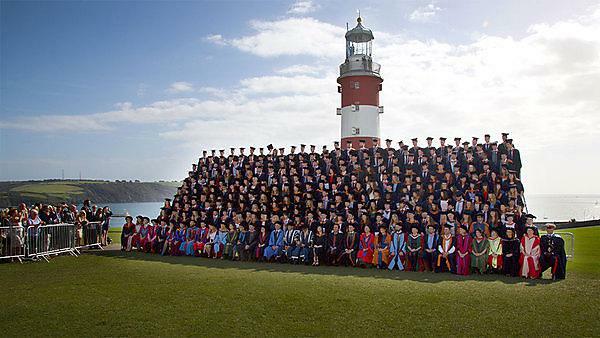 Barbeques on the beach, picnics on the Hoe, hikes along the coastline, long bicycle rides on vehicle-free paths that traverse the moors – if being in nature is a source of regeneration for you, this is the place to study. With a justified reputation as a British holiday hotspot, Devon’s seaside and sunshine don’t disappoint. But there’s lots more to see besides – from impressive castles and manor houses to historic cities and unrivalled countryside. Steeped in ancient history and folklore, Dartmoor National Park is the largest open space in the south of England and the largest archaeological site in Europe. It’s also famed for its wildlife – particularly the free-roaming ponies – and for being a literary inspiration to the likes of Sir Arthur Conan-Doyle and Agatha Christie. With over 2,000 years of history, Exeter is one of England's most characterful cities. The annual Exeter Festival embodies the city's passion for music, dance, comedy, drama and street theatre, which is kept alive all year round at venues like the Spacex Contemporary Art Gallery, the Phoenix, the Northcott and Barnfield Theatres and the Picture House cinema. The quayside’s distinctive pubs add to the lively atmosphere. Nicknamed the 'English Riviera', Torbay – with its distinctive 19th century resorts of Paignton, Torquay and Brixham – on the south coast is famous for its long sandy beaches, picturesque views, red sandstone cliffs and clear waters. To the west, Torbay is edged by steep hills creating a suntrap with a local microclimate that makes it warmer than the rest of the country. The Jurassic Coast is a World Heritage Site stretching from Orcombe Point near Exmouth in East Devon to Old Harry Rocks near Swanage in East Dorset, a distance of 153km/95m. Chartered in 2001, the Jurassic Coast was the second wholly natural World Heritage Site to be designated in the UK. You can walk all the way along it on the South West Coast Path. Filled with Celtic folklore and famed for its magnificent coastline – and even more splendid pasties and clotted cream – Cornwall has a vast amount to offer. What’s more, it’s just a short hop from our main campus, just across the River Tamar. Cornwall’s one and only city, Truro once thrived as a river port and the prosperity of the late 18th and early 19th century can be seen today in the elegant town houses that line the city’s streets. Centre stage is Truro’s impressive gothic revival cathedral that towers over the town. In its shadow, a warren of back streets are home to a thriving café and bar scene, plus dozens of independent traders selling all you need from fresh fashion and cool surf wear to locally made bread and Cornish cheeses. The surf centre of Europe, Newquay is one of the nation's favourite seaside resorts. It’s got the laid back atmosphere you’d expect from a town perched on Cornwall's Atlantic cliffs and is bordered by seven miles of glorious golden sandy beaches. The curve of St Austell Bay with its sandy beaches is a haven for watersports and family holidays. The white peaks of the China Clay industry overlook the market town, Cornwall's largest town dating back to the 13th century. Situated about a mile from the coast, it’s within easy reach of the world-famous Eden Project and Lost Gardens of Heligan. With a worldwide reputation, the award-winning Eden Project is more than just a huge, undercover tropical garden – it’s a fascinating insight into the story of mankind's dependence on plant life. A mindblowing visitor attraction that also hosts a wealth of great live music and culture events, Eden is also fast-becoming a unique resource for education and knowledge towards a sustainable future. *According to the 2017 Times Higher Education '200 Young Universities' ranking list.